Editor's Note: YoProWo Speaker Announcement! We are thrilled to announce that we have confirmed another exciting keynote for this year’s YoProWo - Emmett Shear, CEO of TwitchTV. He’ll be sitting down with us to talk about his career and lessons learned along the way, in addition to where he sees the future of technology heading and the motives behind TwitchTV’s Bob Ross channel. As a result of the tremendous success from previous years, PBS will be producing its third-annual free pre-conference workshop - YoProWo - geared towards young professionals at the PBS Annual Meeting. The workshop will be held Monday, May 16, 2016 from 8AM-5PM at the Sheraton Grand Hotel in Chicago, IL. Registration is open, so sign up today! 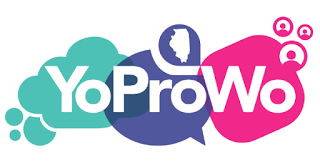 YoProWo n. [Yo-Pro-Woah] an interactive, informative, and innovative workshop for young professionals 40 and under. It focuses on networking, professional development, and collaboration. The theme of this year’s workshop is to emerge inspired, and its goals involve dynamically growing your skills, and exposing yourself to new and unique subjects with the goal of becoming a thought leader in the media industry. Attendees will have the opportunity to hear from a range of speakers and topics including a collaborative discussion with GMs around where public media will be in 20 years; highlighting trends in digital, marketing, social media and education; and outlining common do’s and don’ts of leadership. Workshop attendees will also have the opportunity to hear from and speak with PBS and station leaders including PBS' CEO Paula Kerger, PBS COO Jonathan Barzilay, PBS Digital SVP and GM Ira Rubenstein, GM of KTTZ, Paul Hunton, and VP of Digital at KCPT, Carla McCabe. Beyond the speakers, workshop attendees will have an opportunity to participate in collaborative group activities, and network with peers - i.e. some of the system’s most engaged, forward thinking and innovative future leaders. In the hopes of fostering the conversation around young professionals in public media, following YoProWo the session producers will be presenting learnings from the day during a Breakout Session at the PBS Annual Meeting. For those attending the annual meeting, we welcome you to join that discussion. If you have any questions, please reach out to your Digital representative or check out this recap from last year: YoProWo: Here’s to the Weird Ones. We hope you join us at this year’s workshop, register now and Emerge Inspired at YoProWo.